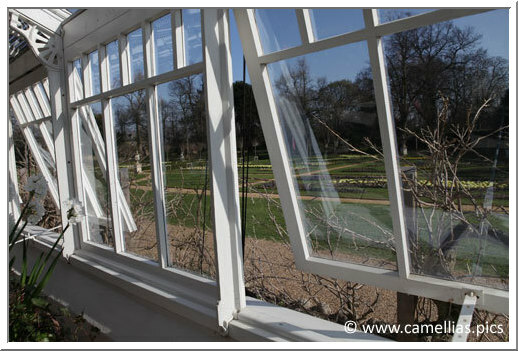 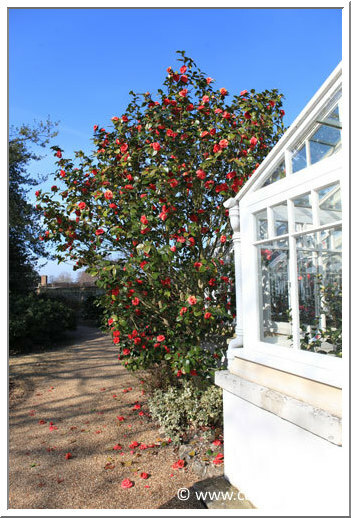 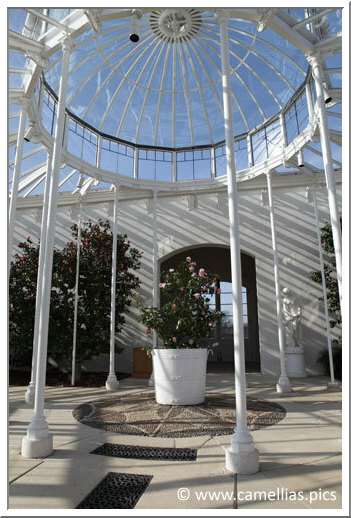 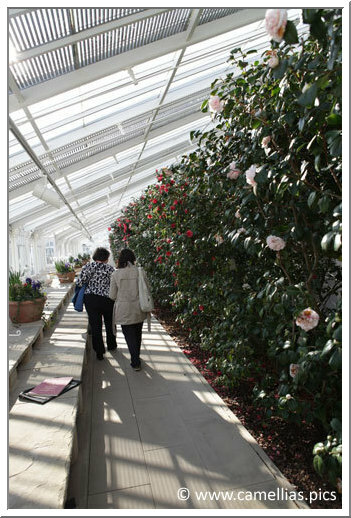 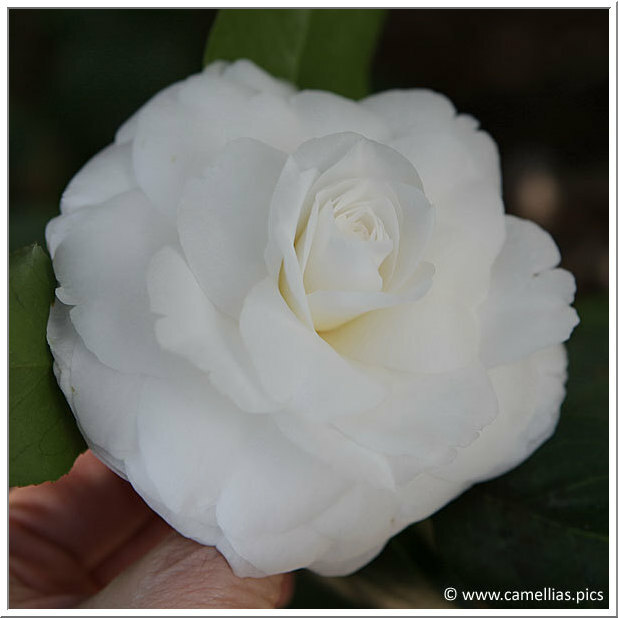 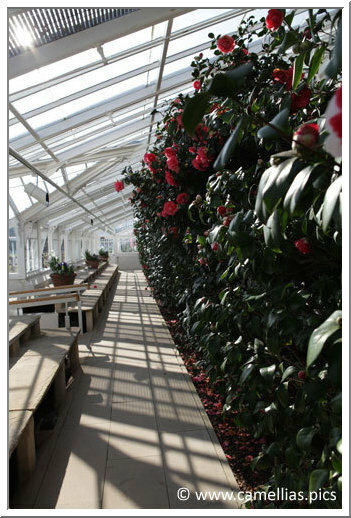 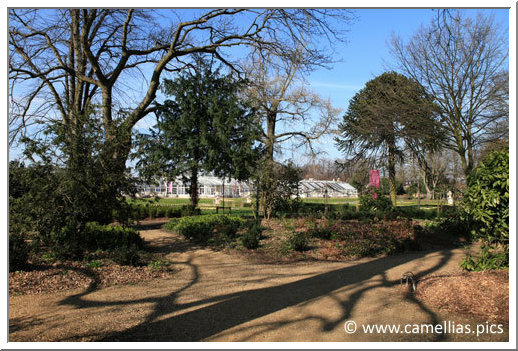 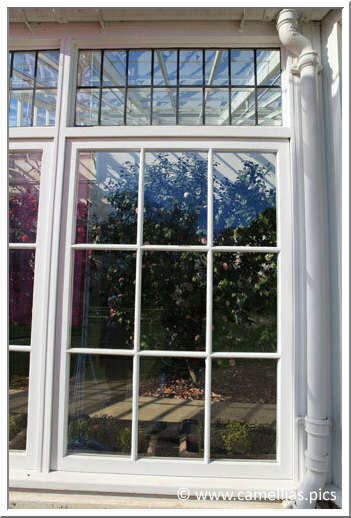 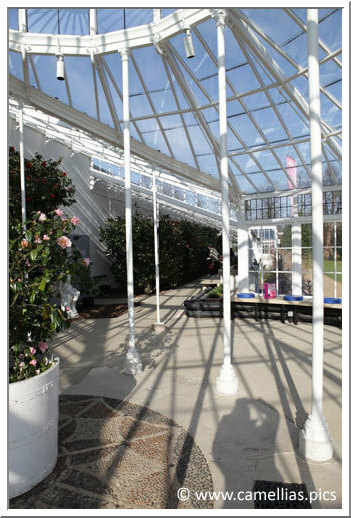 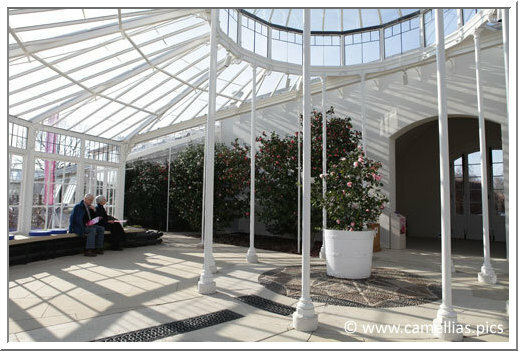 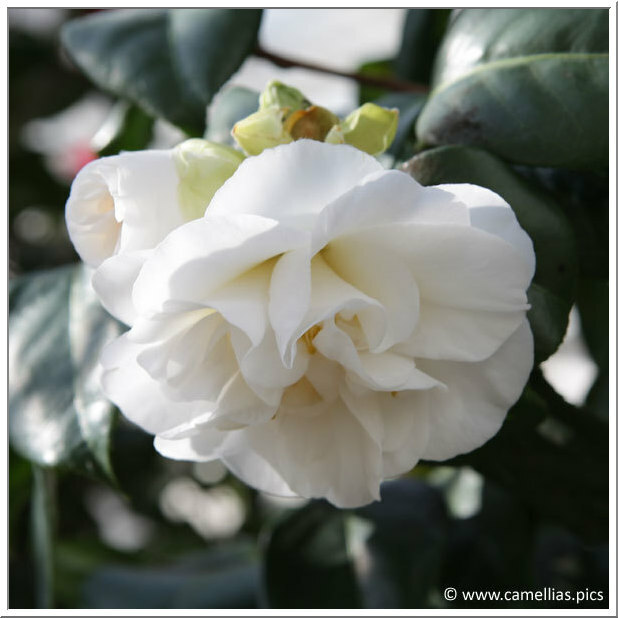 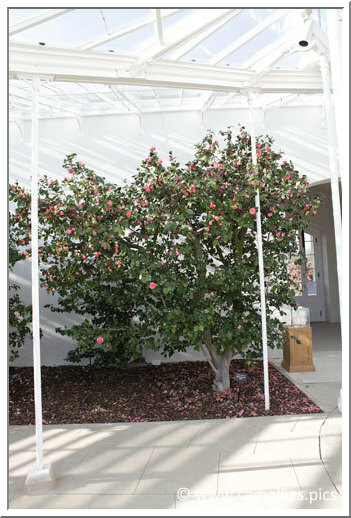 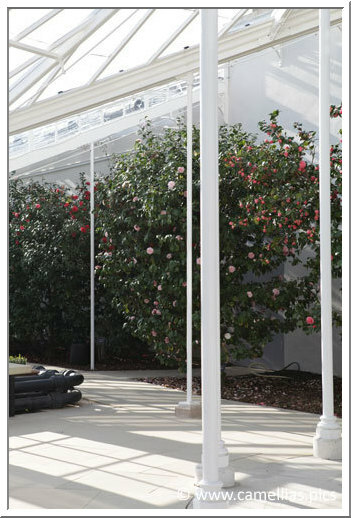 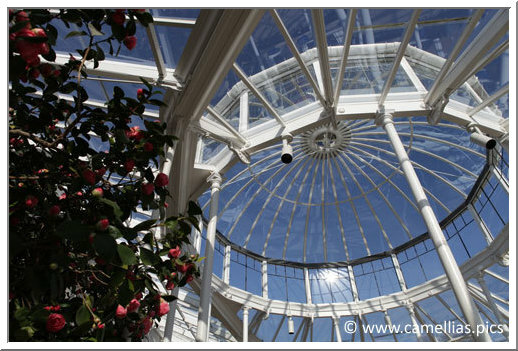 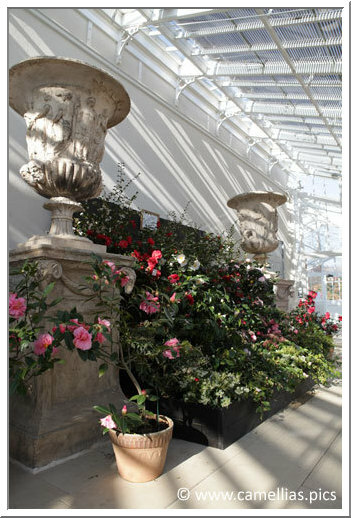 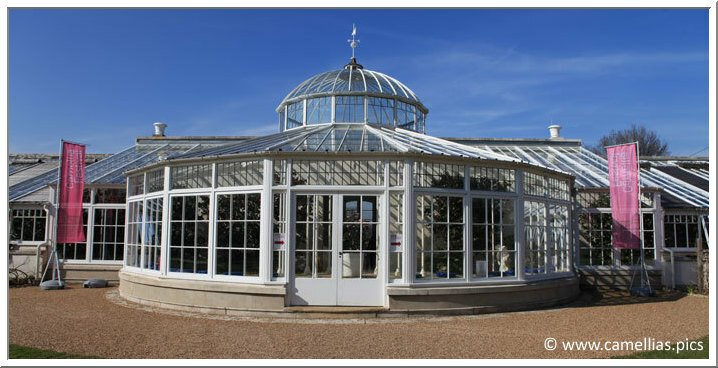 The Chiswick House greenhouses in London offer, since 2011, a camellia festival. 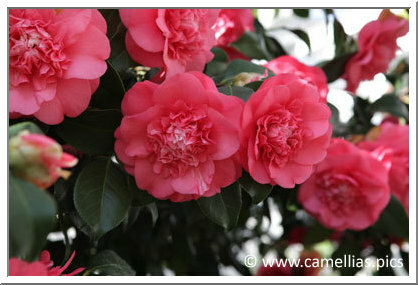 In 2012 it was held from February 18 to March 18. 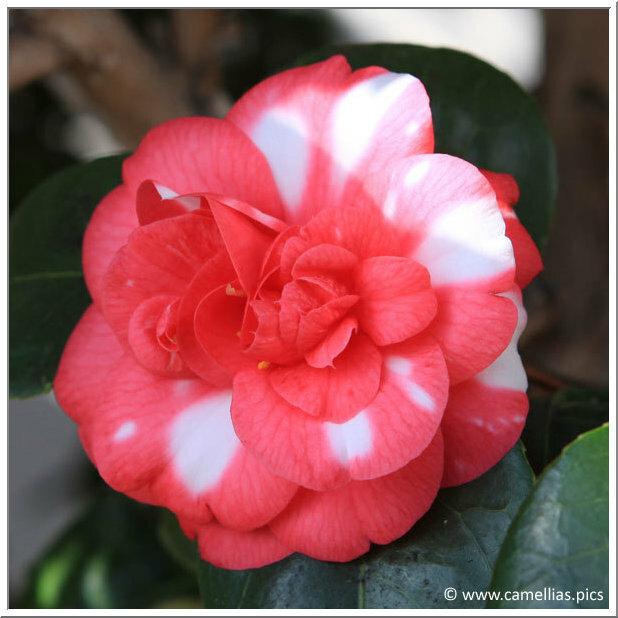 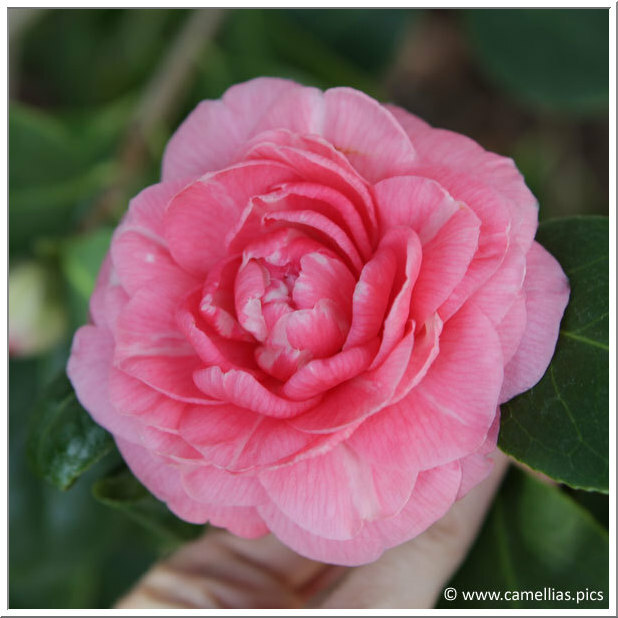 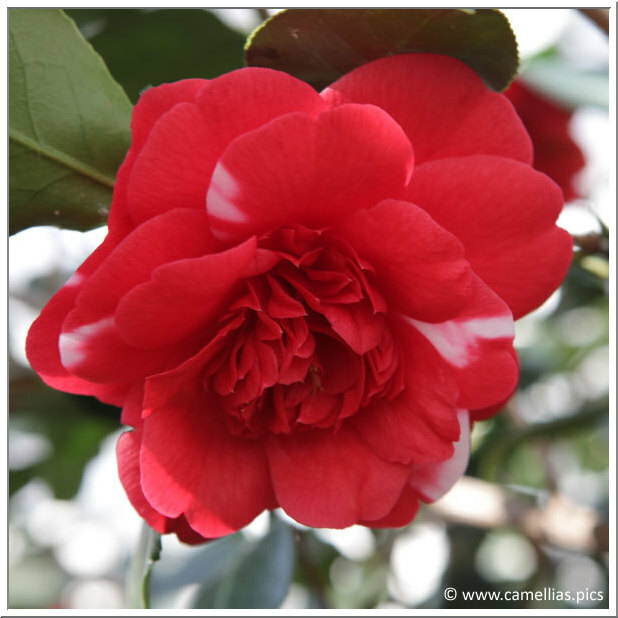 This allows the public to rediscover the magnificent collection of camellias. 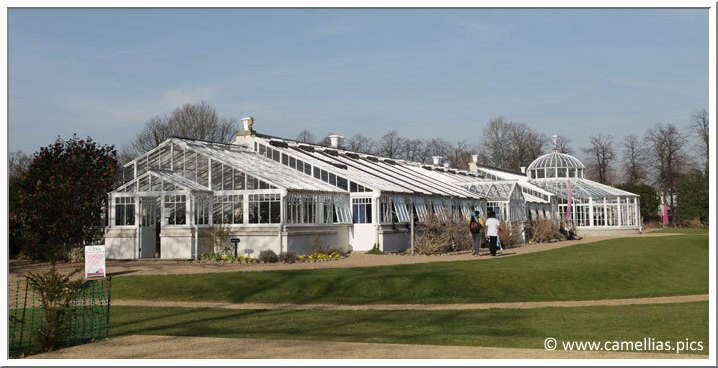 These greenhouses were created at the request of the sixth Duke of Devonshire, and the collection planted in 1828. 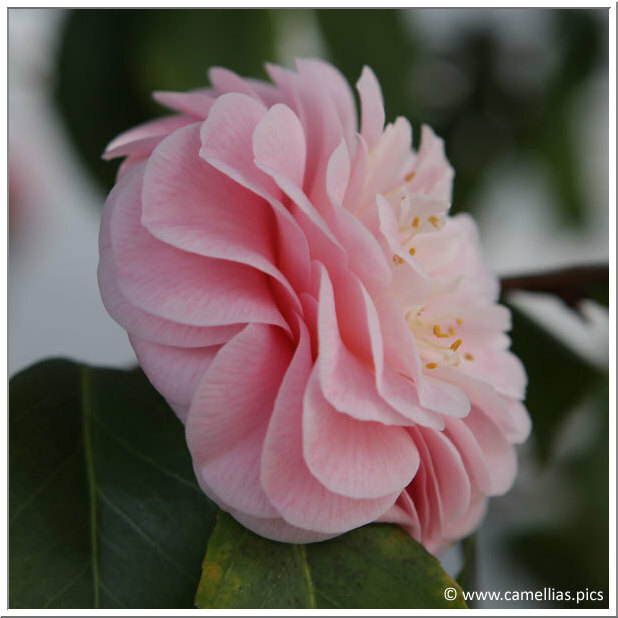 In 1995 the eleventh Duke decided a renovation of the building and care for camellias very affected by insects and diseases. 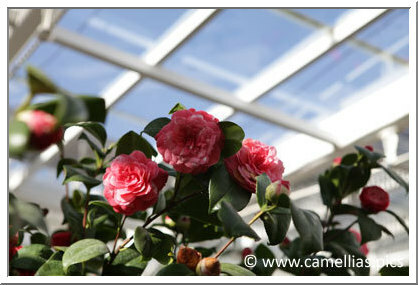 The camellias were cared and pruned. 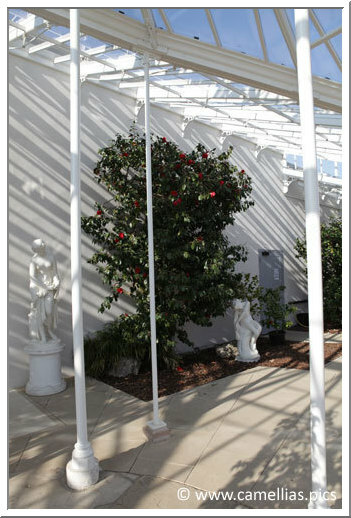 Some ICS members were actively involved in this delicate task. 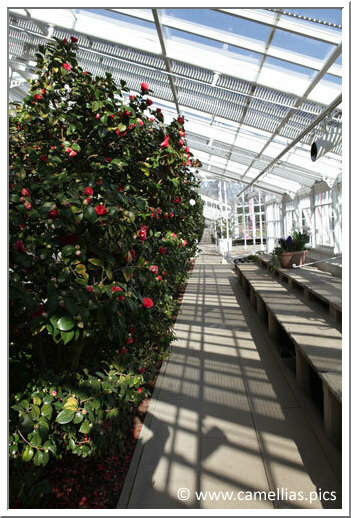 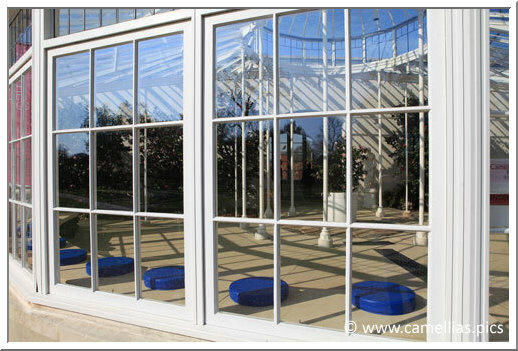 With the restoration of the greenhouse, conducted in parallel, the camellias maintenance is simplified and improved their health status. 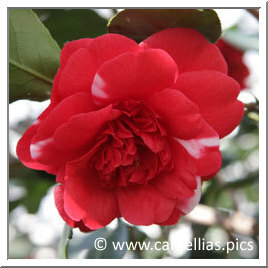 You can find some of the original cultivars (30 on 45). 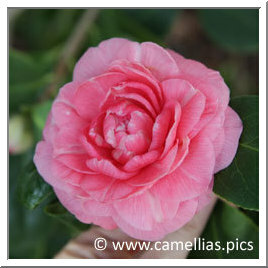 The camellias have found again beauty and health and the visit is particularly attractive. 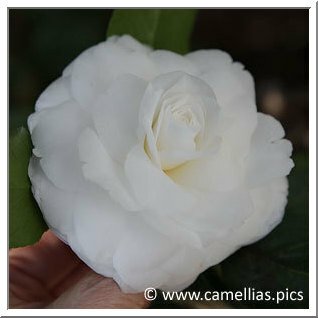 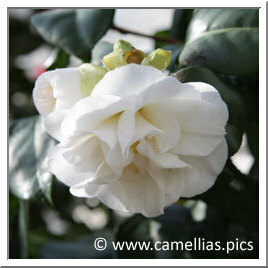 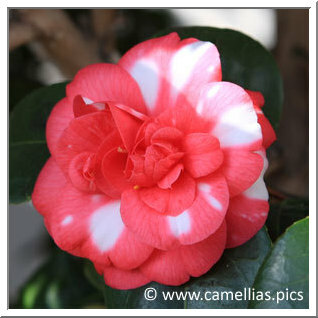 There are also camellias outdoor in the park, and during the festival, you can buy plants, sold on site.